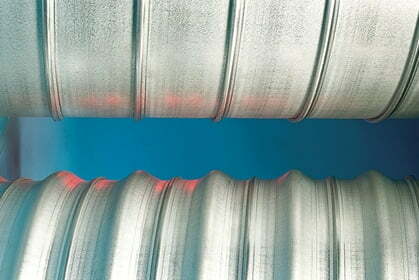 Wells-Vent heavy gauge ductwork is used extensively in marine and land based systems where a high degree of protection against corrosion or abrasion is required, and where a long-life robust product is needed. 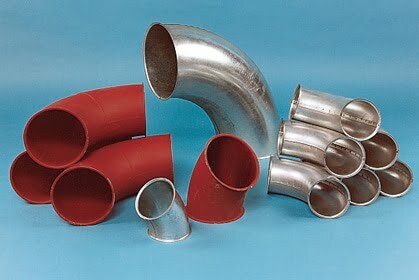 Any standard Wells-Vent product can be supplied in heavy gauge including bends, twin-bends, tees, reducers and saddles. Typical applications include marine ductwork, bulk transfer ducts and external ventilation and exhaust systems used nationwide. Material (m.g. = max gauge) Mild Steel (m.g. 2.3mm) Galvanised G275 and G600 (m.g. 2.3mm) Aluminium (m.g. 2.3mm) Stainless Steel 304 and 316 (L) (m.g. 1.2mm) • Diameters 80mm up to 2200mm.